Mylo Xyloto, the fifth studio album from the British quartet Coldplay treads on familiar territory, which can be either good or bad depending on what you like about the band. For me personally, this is not a good thing. Aside from a few moments, I didn’t find their debut, Parachutes, all that spectacular but I was blown away by its follow-up, A Rush of Blood to the Head. The new wave, spacey approach they took with X&Y made for a very enjoyable listening experience and then came Viva La Vida or Death and All His Friends, which I thought sounded like a band that is very much aware of their popularity and how crucial is to immediately deliver an iPod commercial-worthy hit single. It still sounded like Coldplay, it just wasn’t as interesting. That’s how I feel about Mylo Xyloto. While it’s not completely unlistenable, it doesn’t sound like the guys dug very deep to come up with these tunes. The Coldplay formula is pretty basic and that has worked well for them but when they pump out forgettable songs that lack the magic of past hits like “Trouble,” “Clocks” and “Fix You,” you come to a harsh realization—Chris Martin has absolutely no range as a vocalist. After a while his either sleepy or falsetto approach to singing begins to make each song sound interchangeable. When your music structure is as simple as Coldplay’s can be, it’s up to the singer to bring forth a memorable, catchy vocal line and lyrics but both are hard to come by on Mylo Xyloto. I hate to think that this is secretly their goodbye album and they will soon go off to their own separate things because I think they still have magic left in them, but they’re never going to dig deep enough to find it again if mainstream music lovers just eat up whatever they dish out. Many artists in the past have put out such colossal flops that everyone was certain their career was over, only to have that same artist come back more determined the next time around and release a masterpiece. Failure can be great inspiration. 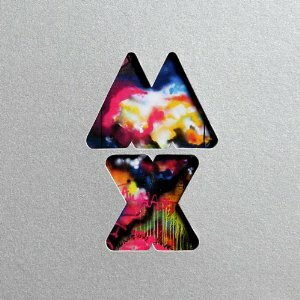 Mylo Xyloto isn’t a complete failure by any means but it’s definitely a couple of steps back. Here’s hoping the next Coldplay album is a great leap forward.